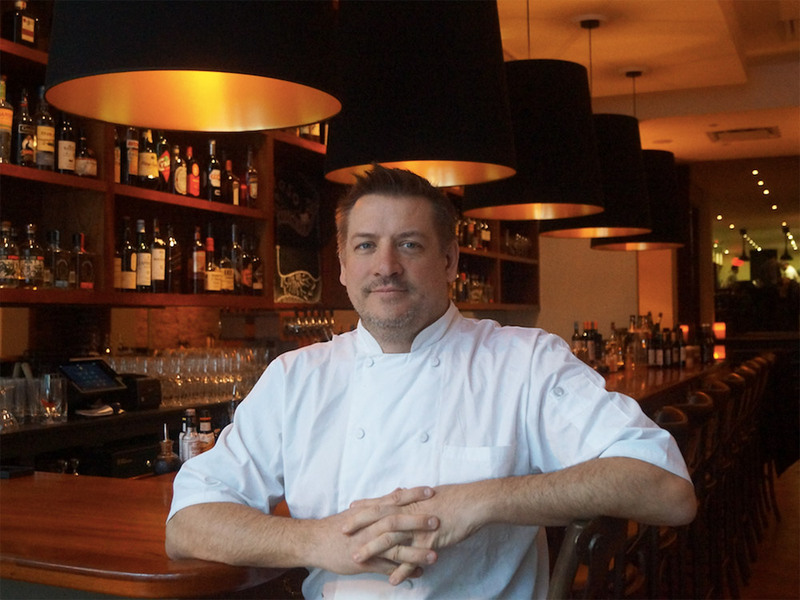 Sherry-focused Oloroso shows off chef Tod Wentz’s range and attention to detail. Back in 2014, Chef Tod Wentz helped fuel Philadelphia’s fine-dining renaissance when he opened his namesake restaurant in a cozy converted townhouse on East Passyunk Avenue in South Philly. Now Wentz is bringing the same hands-on approach to Oloroso, his superb new sherry-focused Spanish restaurant on Walnut Street in Midtown Village. He talks proudly, not boastingly, about the Persian carpets he tracked down and used to upholster the banquets. He also makes a point of mentioning (and raving about) all the talented people who helped him bring the place together. There’s the local potter — Heather Ossandon of Heos Ceramics — who designed the cazuelas and dishes, and Wentz’s friend Bill Strobel — “an incredible muralist” — who covered a 35-foot stretch of wall with a Medieval conquest scene. “Having so many talented people work on and support the restaurant . . . it’s been an intensely personal project for me,” Wentz says, rather unnecessarily, because his devotion to the place and the people who worked on it is raw and right up at the surface for anyone to see. There is also Oloroso’s wine and beverage program, designed by superstar somm Gordana Kostovski. At its heart is a diverse collection of sherries — from light-and-flinty manzanillas to bold, fragrant olorosos. “We wanted to feature a variety of distinct sherry houses, and I was very pleased to find bodegas that offered quality and a sense of place,” says Kostovski, who is also Oloroso’s general manager. Like Wentz (who happens to be her husband), Kostovski’s passion for the restaurant is obvious — and infectious. Even if you’re not familiar with sherry, which is a fortified Spanish wine, Kostovski will turn you into a fan. “Sherry is such an integral part of Spanish culture, and where it's produced, in the Jerez region, has such a unique terroir,” she says. “Whether savory or sweet, it’s so versatile and food friendly, and it’s our goal to expose more people to it and be a home to those who want to enjoy it.” Her wine list is also considered and adventurous; Oloroso is a place for both eaters and drinkers to broaden their gustatory horizons.